For Canadians walking into the wide world of cannabis for the first time on Oct. 17 when the drug becomes legal, the terminology itself could be overwhelming. There are terms bandied about concerning the properties and potency of the cannabis they’ll be allowed to buy, which extend into genealogy and production methods that extend well beyond any pot education consumers may have received from the film Pineapple Express or the 1990s Death Row Records catalogue. BNN Bloomberg spoke to cannabis expert Kerri-Lynn McAllister, chief marketing officer at cannabis education platform Lift & Co. to simplify some key terms to make the neophyte’s transition into life with cannabis a bit easier (and at least help you out at the next dinner party). Before diving into the terminology, McAllister offered a caveat to how Canadians perceive cannabis. Here’s a look at 10 cannabis buzz words, how they’ve been defined by experts and what impact they will have on Canadians from Oct. 17 onward. 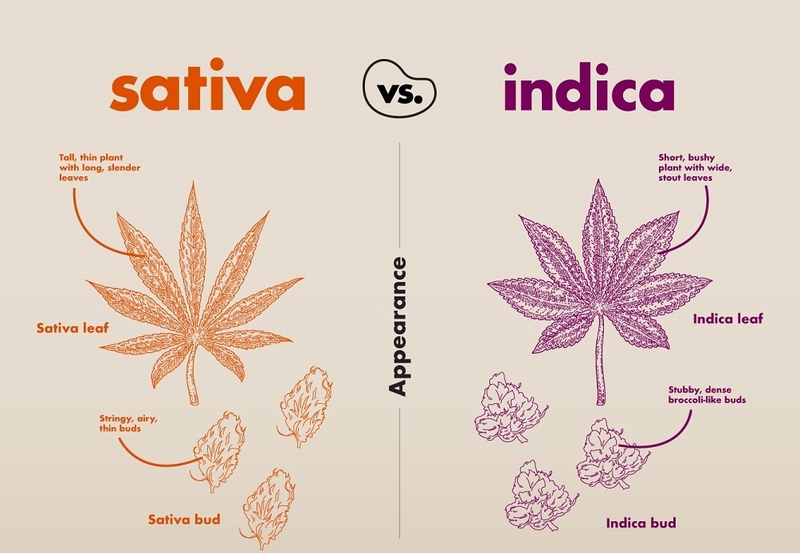 Colorado’s PotGuide.com defines Indica as one of cannabis’ three major plant classifications. “Indica plants are smaller, broader and produce more bud. The majority of indicas will offer the user a very relaxing body high, which can help some people with chronic pain, anxiety, insomnia and more,” the Pot Guide writes. However, McAllister says that how cannabis plant classifications are described still needs scientific evidence to back it up. “Indica and sativa – they’re definitely two different types of plants with the physical features and everything, but the reported effects, traditionally, with indica being a more sedating effect and then sativa being a more uplifting effect: that is user-reported information,” she said. “[CBD] has many potential therapeutic benefits, including anti-inflammatory, analgesic, anti-anxiety and seizure-suppressant properties. Cannabidiol can be sourced from both marijuana plants and hemp plants, which are legal in most countries as they contain less than 0.3 per cent THC,” the website says. Bill Blair, Parliamentary Secretary to the Minister of Justice and Attorney General of Canada talks to BNN about the key findings from a public consultation related to marijuana legalization and what will be allowed for packaging, thc content, and the rules for plants grown at home and for micro-growers. But McAllister adds that customers will not likely use these metrics to inform their decision-making – at least not right away. “In the packaging, for instance, they just have a THC stamp that’s red and looks like a warning, but there won’t be any explanation as to what that means. The CBD content will be on the label but it’s not going to be as prominent as the one with the THC because THC is the one with psychoactive effects,” she said. There are also a wealth of slang terms that go alongside hash oil, including “butane hash oil,” “dabbing,” “blasting,” “shatter,” and “pull ‘n’ snap,” among others. A key segment of Canada’s marijuana industry will remain banned for up to a year after the substance becomes legal for recreational use on Oct. 17. Bloomberg News’ Josh Wingrove reports. McAllister warns customers not to get too excited about this batch for Oct. 17, since they are more long-range prospects. “Concentrates and edibles will not be legal on Oct. 17 so you will not see them in-store right away,” she said. But she added that the popularity of these marijuana products come down to convenience and discretion. “With cannabis flower, there is a little bit of work involved in getting it into a consumable format. With concentrates through a vaporizer pen, for example, that’s something that’s easy to consume,” she said. McAllister says there’s more to terpenes than just added flavour. At the end of all this, McAllister believes the masses may have to go it alone when it comes to picking which cannabis products are right for them. However, much like online reviews have helped travellers make informed vacation decisions, McAllister says, the online cannabis community may eventually prove a fertile education resource of its own, based on user experience. “It’s kind of like going online if you are looking to book a hotel. You go on TripAdvisor, and you read the reviews and that allows you to differentiate between them,” she said.